Day 16 of www.gothtober.com features the night antics of a couple of wayward ghosts on their way to somewhere else. The film is called “Terminus” having to do with the termination of life, along with the terminals we wait in while we’re taking whatever journeys both life and death require of us. 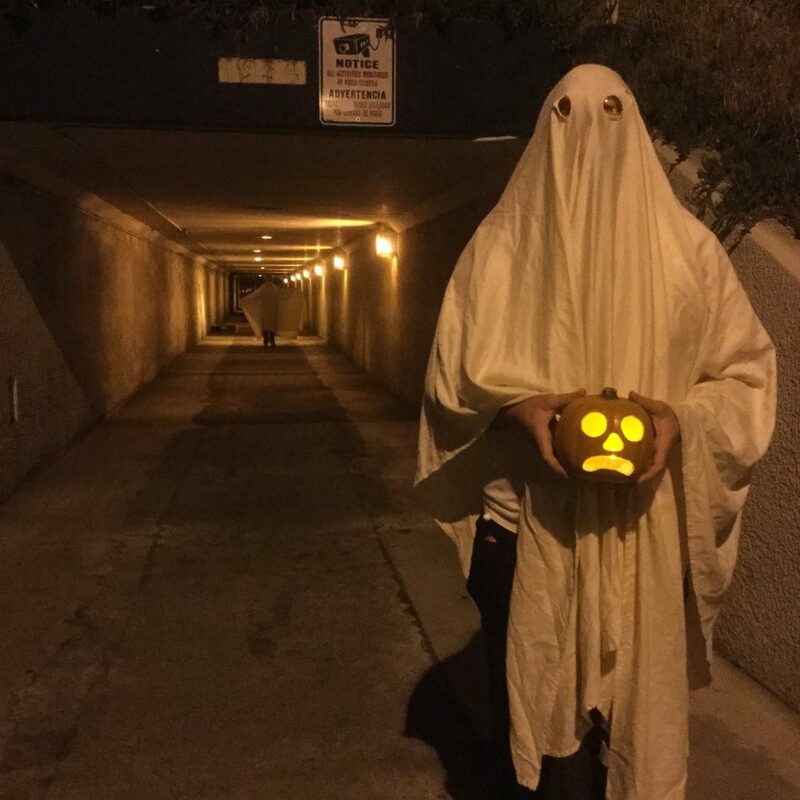 Shot in and around Vernon and 26th St. of Los Angeles, the ghosts make their way in and around the belly of the city. They go a-haunting among diesel engines, intermodal containers, and corridors of active and forgotten tracks. Julianna Parr does Gothtober artwork under the guise of Danny Torrance, Ichabod Brains, and other pseudonyms. 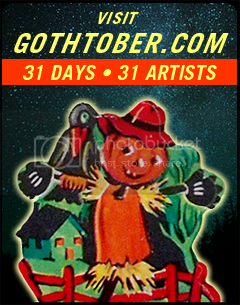 She is head Candy Corn of the Gothtober Countdown Calendar.